Salumi has been part of the Italian diet for many centuries, originally developed as a way of preserving meats. While some varieties are popular, others aren’t quite as well known. In the ﬁrst of a series of articles that explore different styles of Italian salumi, we focus on a type of air-dried, salted beef called bresaola. Bresaola’s History can be traced back to the Valtellina Valley of the Lombardy region in Northern Italy, where it has been produced in the area’s alpine villages since the middle ages. The bresaola that comes from the Valtellina area is highly prized, so much so that it has received IGP certiﬁcation, an acronym for Protected Geographical Indication. IGP is an ofﬁcial stamp of quality designed to ensure that the product and its processes are safeguarded. And bresaola from this area has worn the coveted IGP trademark since 1996. Only bresaola that is made within the designated area – the province of Sondrio – and that meets the speciﬁed requirements, can legally be sold as Bresaola della Valtellina. Among the mandatory guidelines, for example, is that the beef must come from the thighs of cattle that are between 18 months and four years of age. To further protect and promote the treasured Italian product, the Consorzio di Tutela Bresaola della Valtellina was established in 1998. Unlike salami, which is made from minced meat, bresaola is created from a single piece of beef, trimmed to remove any excess fat and tendons – therefore the quality of the cut of meat used is crucial. Because much of the fat is removed in the initial production stage, the end result is a salumi product that is very lean and ﬂavoursome. In theory, the process for making bresaola is relatively simple. However, in reality, it still requires a great deal of care and consideration. To start with, the trimmed piece of beef is covered in salt, which is used to preserve it. It is also seasoned using things like herbs, spices, garlic or wine. The choice of ﬂavourings chosen varies between producers, who will often have their own secret recipes. The salting phase lasts at least 10 days, with the beef massaged in between to help ensure the salt’s even distribution. The drying phase follows, where the bresaola is put into casings and left to dry for about one week. Then comes the curing phase, which lasts four to eight weeks. The amount of time required differs depending on the size of the piece of beef. During this last step, the bresaola further develops its ﬂavours and its characteristic dark reddish-purple colour. Bresaola has a rich taste and delicate aroma. It should be sliced very thinly and is best eaten shortly after slicing. The product is delicious on its own or in a carpaccio style drizzled with a little high-quality extra virgin olive oil, lemon juice and pepper. It also pairs well with a slice of crusty Italian bread or some Parmigiano Reggiano cheese. As mentioned above, bresaola comes from the Valtellina Valley in Lombardia. 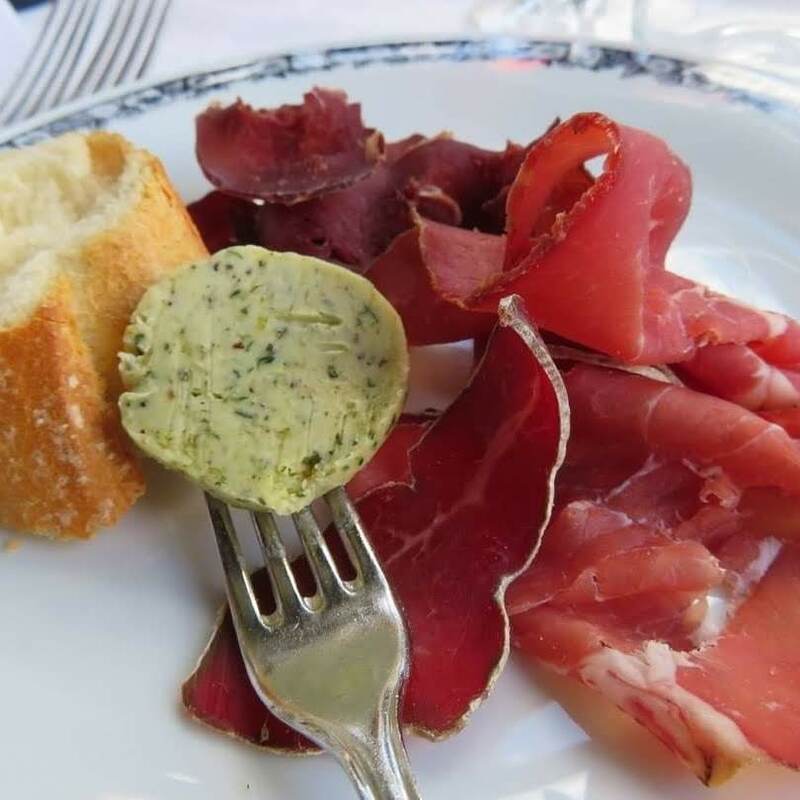 The best opportunity to try bresaola would be if you are visiting Lake Como or Milan. Do a day trip or spend the weekend in the area exploring the rustic beauty of the valley. The Valtellina Valley is known for wine production, in fact, the terraced vineyards are listed as a candidate as a UNESCO World Heritage site. An exclusive tour of the Valtellina Valley with an expert local guide. A full day tour to discover the tastes and flavors of Valtellina which includes a visit to a traditional grocery store dated 1883, a wine tasting experience at two different historic wineries plus lunch at a Michelin starred restaurant. Do you need content for your travel website?